TruEAR was born out of a desire to reconnect people with the things and loved ones they care about, which is why we offer the hearing healthcare services we do. Once we find your perfect hearing aid - we don’t leave you all alone! 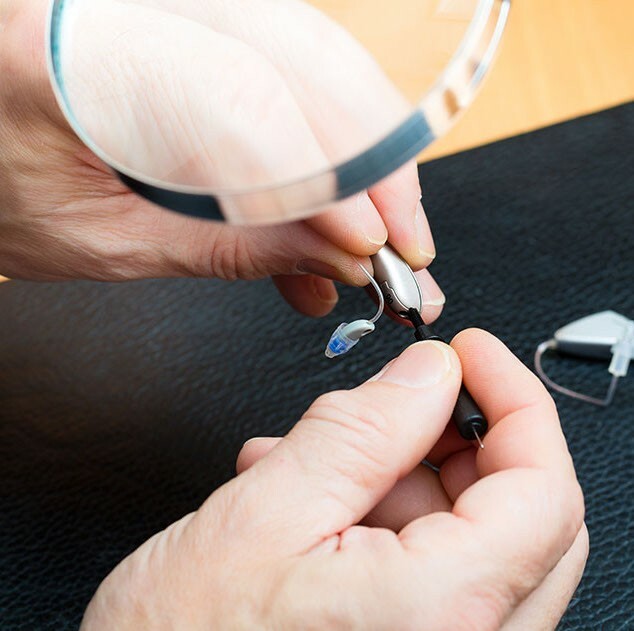 We also offer hearing aid repair, maintenance and cleanings. Hearing aids are durable, but they are also tiny machines that house a lot of technology. It is important that you maintain your hearing aids with regular cleanings at home as well as professionally in-office. If your hearing aids stop working as well as they used to, we can take care of that as well. If we encounter a problem we cannot fix, we will coordinate with the manufacturer to organize repair. Many people with hearing loss (and also some people who don’t) experience tinnitus on a daily basis. Tinnitus is that annoying buzzing, ringing, whooshing or clicking noise you hear in one or both of your ears. 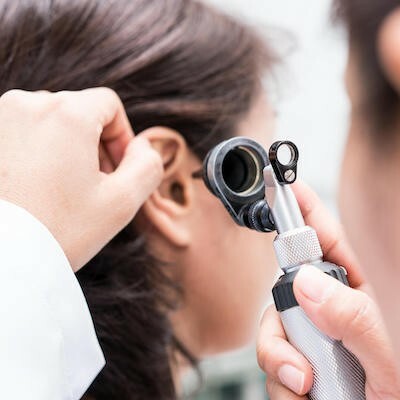 While there is not a total cure for tinnitus, there are many treatment options that have been successful for our clients. We offer a range of various treatment options, and will work to find a solution that works for your tinnitus. We hear a lot about hearing loss, however, we don’t spend enough time thinking about the hearing we do have. No matter your age or degree of hearing loss, it is important to protect your hearing from excess noise exposure. There are many ways to do this, including custom hearing protection. 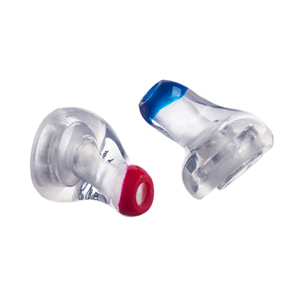 Custom hearing protection are ear plugs that are molded to fit comfortably and perfectly in your ear canal. They allow you to continue doing the things you love, while keeping your healthy hearing in-tact. Not everyone with hearing concerns needs hearing aids. 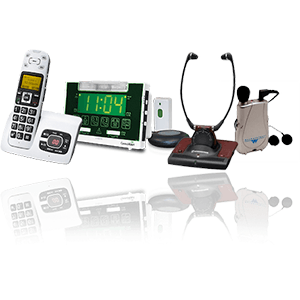 We also work with clients to help them in finding an assistive listening device that will work for them. Assistive listening devices are similar to hearing aids in that they are able to amplify sound, and separate background noise from beneficial noises such as speech. During your examination, we will take a look at the physical anatomy of your ear. If we see that there is an excess buildup of wax that could be causing or worsening your hearing loss, we will happily and safely remove it for you. First and foremost, when you walk through our doors, our goal is to provide a completely transparent process where you are educated rather than sold. This is why we created the TruEAR Experience, a unique approach to understanding your individual hearing healthcare needs. The whisper of your wife’s “I love you” during a dinner with friends, the sound of songbirds in the morning, or the sound of your grandchildren giggling in the other room. We understand that the things you love to hear are as unique as you are. Our Lifestyle Assessment is able to help us determine what technology may be right for you - based on who you are, what you do, and what you love. After we take the time to discuss your history and how hearing loss is affecting you, and you take the Lifestyle Assessment, we then move onto the actual hearing evaluation. Like other hearing clinics, we will of course assess your ability to hear while wearing headphones in a soundproof room. However, part of what makes our evaluation unique is our ability to assess how you hear in real-world situations - like a busy restaurant or large family gathering. Knowing how you hear and understand speech in these lifelike situations allow us to have a much better picture of your overall hearing profile and needs. Next, we combine your Lifestyle Assessment with the results of your evaluation to create your individual treatment plan, and determine whether or not hearing aids would be a good treatment option for you. When it comes to hearing aids, we are proud to offer the latest technology and highest quality devices available. We work with all the major manufacturers and if there is a hearing aid on the market, we can get it for you. We partner with you to find the perfect aids to meet your needs, not the ones that happen to be readily available on our shelves. Once we determine hearing aids that may be right for you, we first finely tune them to match up with your individual hearing prescription. We make sure your aids fit comfortably and are adjusted to meet your needs. Then, we allow you to test your hearing aids in the “Experience Room”. The Experience Room simulates noisy environments that are difficult to hear in such as busy airports or happy hour meetings. Wearing your new hearing aids, we allow you an opportunity to experience hearing (including understanding speech) in the places that give us the most trouble. This way, we have a clearer picture of how the aids will perform in the real-world, and whether they are correctly tuned or the right hearing aids for you.